Monument Direct was extremely professional and went above and beyond my expectations. 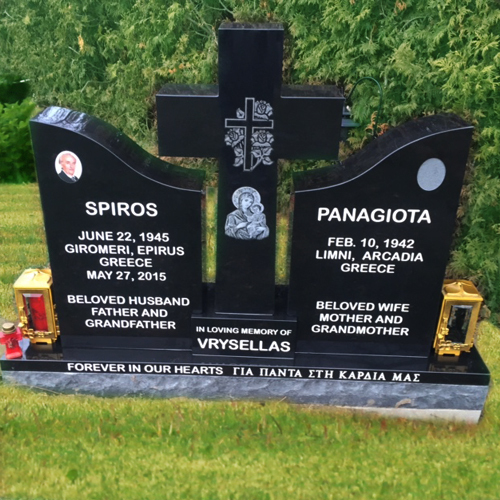 We wanted the most beautiful monument for my father and in our most difficult year Sean was patient with me with a million revisions and the monument arrived on time as promised. Also being in the United States and doing everything over email/phone I was very nervous but again Sean at Monument Direct always quickly returned my emails and phone calls and arranged transport and make a difficult process very easy. I would highly recommend them for the expertise, quality and customer service and their prices could not be beat. 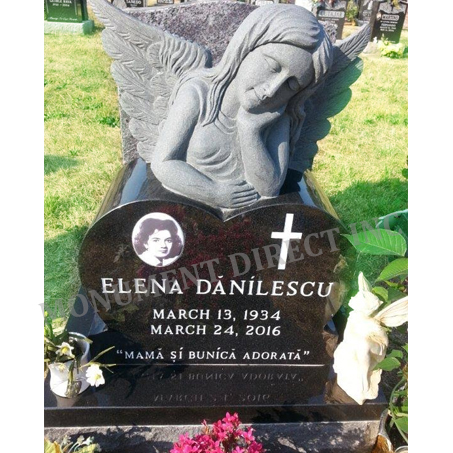 Sean Xu, the owner of Monument Direct Inc., did a fantastic job in honoring my grandmother, Elena Danilescu. From the moment my mother and I sat down with him, he listened to what we were looking for and executed it down to the last detail. 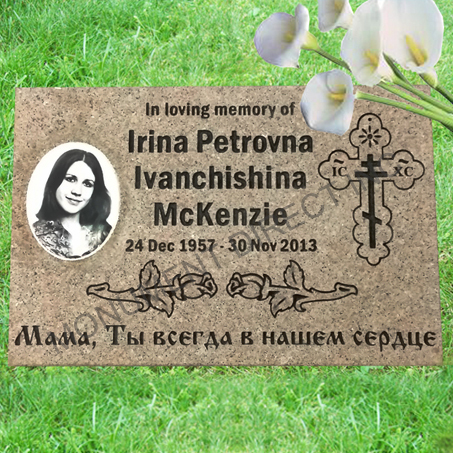 We were very happy with the quality of the tombstone and the fact that Sean wrote the inscription in Romanian for us. 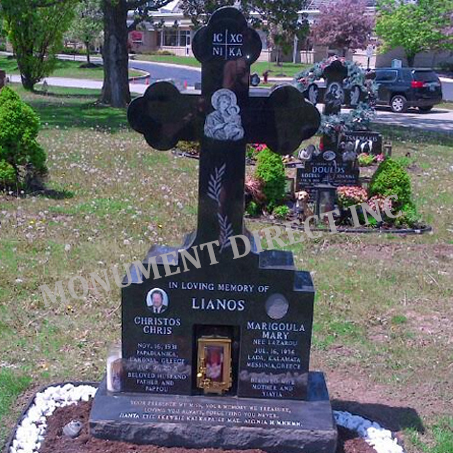 Monument Direct delivers high quality products for reasonable prices. 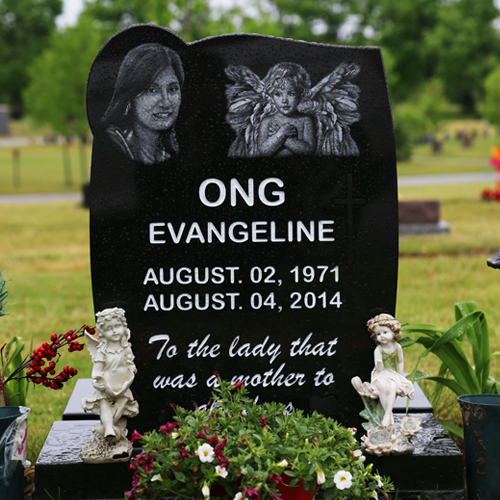 We really appreciated Sean’s help and care when it came to the small details; I had a lot of questions as it was my first time planning a funeral and creating a tombstone; he even emailed us updates to let us know the progress he made on my grandmother’s tombstone until it was completed. My mother and I will recommend Sean and Monument Direct Inc. to anyone in need of their services. They are professional, attentive to detail and reasonably priced. We have seen other people’s testimonials on the website and that’s how we found Sean. We are willing to attest ourselves that all the opinions about the quality of work and the products are correct and very on point. We highly recommend Monument Direct! 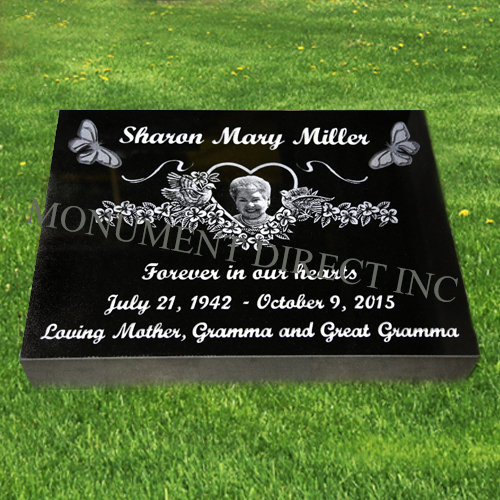 Dear Sean at Monument Direct, thank you so much for the great job you’ve done on my mother’s headstone. My family and I thank you for all your hard work and professionalism throughout the process. 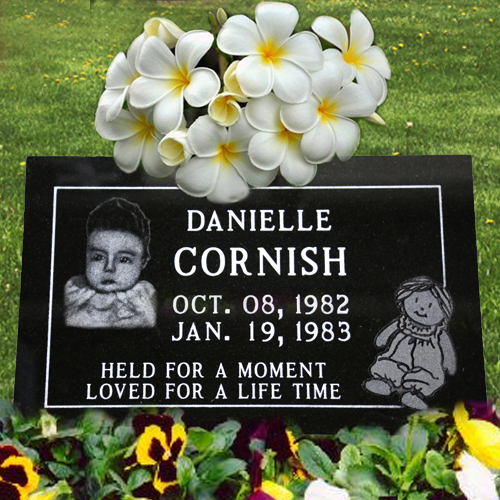 You clearly understood what we were looking for and everything from her picture, the rose design and the inscriptions are wonderful. I will most definitely recommend your company to others. A sincere thanks to you and your team for the work, delivery and installation of the marker. 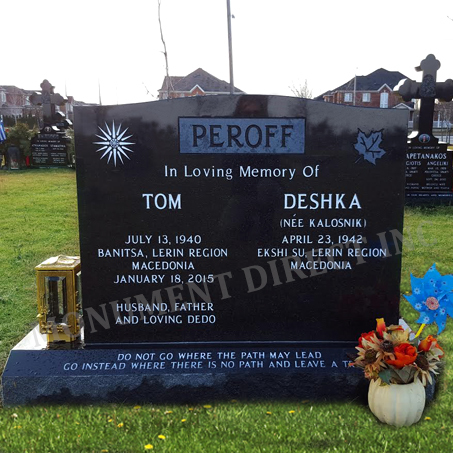 It was great to see it installed on Saturday morning at the interment service. The family were all saying how beautiful it was and the quality of work on it. 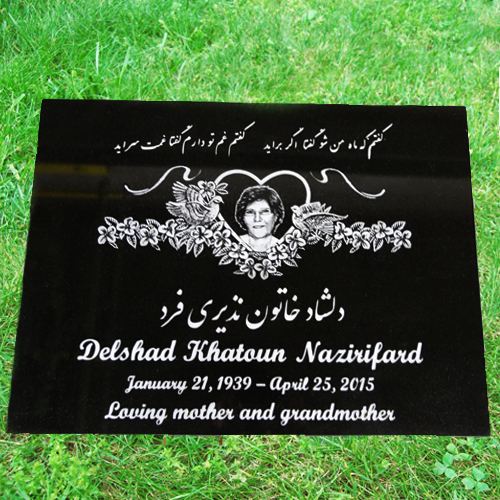 Thank you again from the bottom of my heart for all that you have done and the beautiful marker you have made for my family to honour our Mother. I am extremely pleased with the service and product I received from Monument Direct. 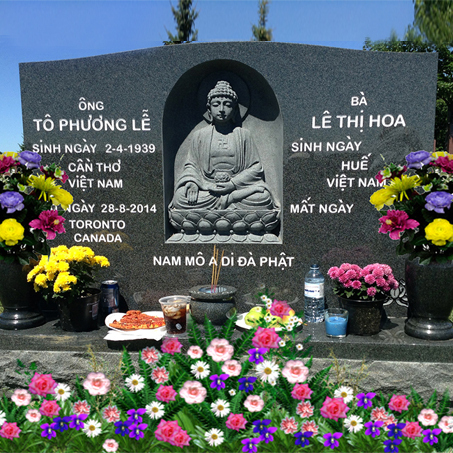 I sat with Sean and described to him exactly what I had in mind for my father’s headstone. He listened and provided helpful suggestions. 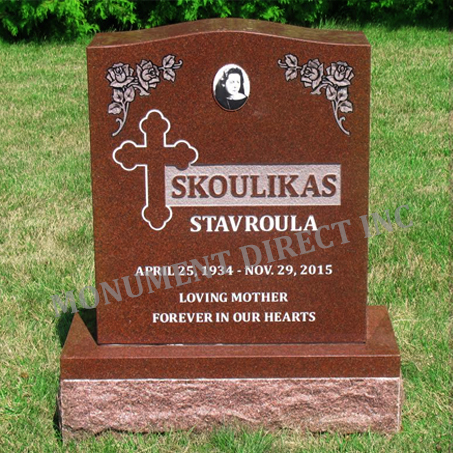 He made the ordering process very easy and the cost of the stone was very reasonable. He provided a timeline of completion which was met. My family is very pleased with the final result. Thank you Sean and Monument Direct for your great customer service and quality product. 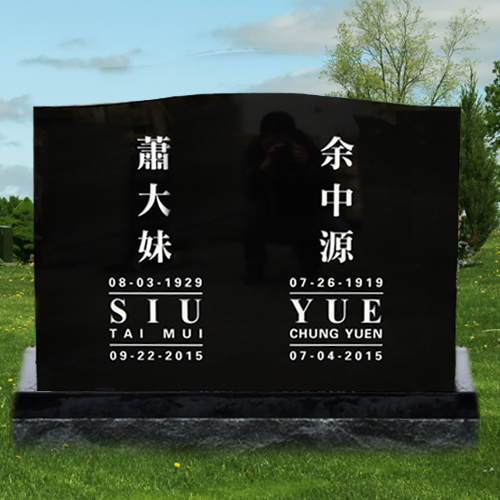 Thanks Sean, I will recommend your business to anyone that is looking for a headstone. 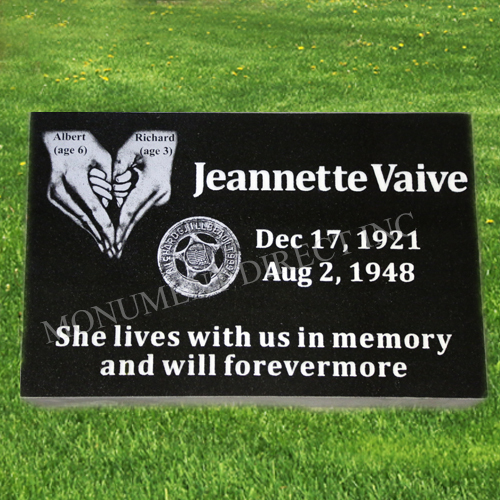 They did a great job on my late mother’s marker and they were much less expensive than any other places I got a quote from. Sean is very friendly and easy to work with . The whole experience from the moment we walked in to the final project went smoothly and was more positive then I ever could of hoped . The final project was unbelievable . I am beyond happy and could not of thought of anything better . I would never look elsewhere and I could not be happier , my family is touched . What a blessing to find this place. 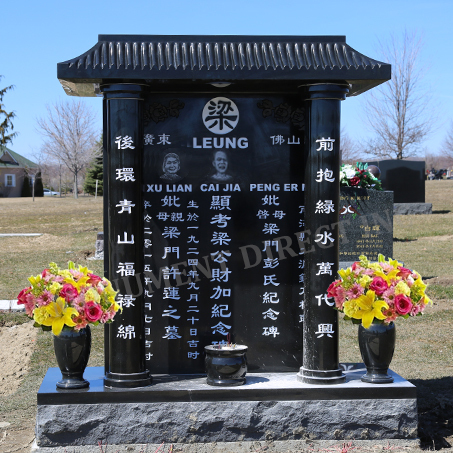 We bought a black stone monument with the decorate pictures from Monument Direct Inc.
We very happy because they did very good job. We will recommend my friends & everyone as we know, because they do good job & good service. the cost you buying cheaper than the other companies and good quality. Please look at pictures of my monument. I just wanted to thank you for your exceptional service. 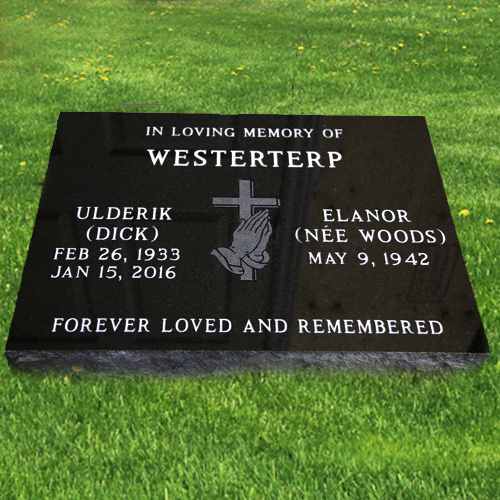 You were very patient and accommodating with my mother when it was time to decide on the style and design of my father’s Memorial Stone. I also am thankful for being on time and getting it installed before the snow arrived!! I would definitely recommend your services when needed. Ήθελα απλώς να σας ευχαριστήσω για την άψογη εξυπηρέτηση σας . Θα ήταν πολύ υπομονετικοί και εξυπηρετικοί με τη μητέρα μου, όταν ήρθε η ώρα να αποφασίσει σχετικά με το στυλ και το σχεδιασμό του πατέρα μου Μνήματα . Είμαι επίσης ευγνώμων για να είναι στην ώρα τους και να πάρει εγκατασταθεί πριν από το χιόνι έφτασε !! Θα ήθελα να συστήσω σίγουρα τις υπηρεσίες σας όταν χρειάζεται . I would like to tell you how wonderful your service is. Your assistance has been most professional. Your pricing is good as well and we are very satisfied. 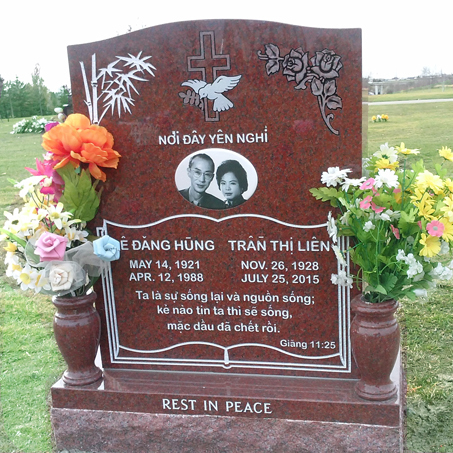 After we visited the cemetery and would like to tell you that you have done a great job on our parents’ monument. Your quality of craftsmanship and good pricing really help us to honour our ancestor better. Thank you for help again. 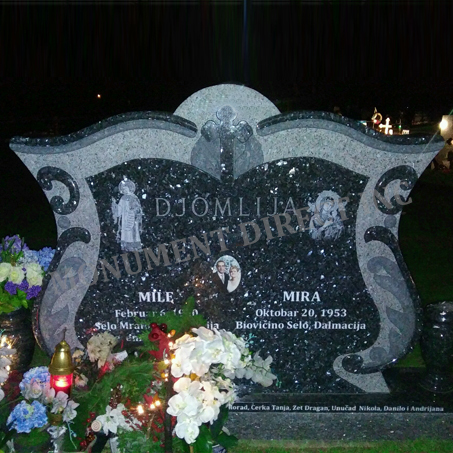 Thank you so much for the nice monument you’ve created for my wife. You are trying a great person and showed compassion and empathy to me and my family. You’ve always remained professional and most especially your price is by far the greatest of them out there. My kids, my extended family and I really loved your workmanship and I don’t think anyone could have done it any better than this. Also, like I said that your professionalism is what drew me to finalize deal with you as I have been to other places that deal with monuments. It showed that they only wanted my money and did not even show any empathy at all nor even cared we were there. For example, a lady from Midland Avnue, I entered to her place of business. She did not even acknowledge me and continued reading here newspaper. I began to ask her question and she told me to look around the place and if there’s something I wanted then let her know and continued to read here paper. I am surprised her business is still open. With you, you remained professional and caring till the end. Thank you for your patience and your hard work. I am very pleased with the outcome of the monument. You delivered what you promised. The details are exactly what we have designed which make the look warm, cozy and unique. We feel happy every time we visit our parents, knowing they live in a beautiful place in heaven and on earth. 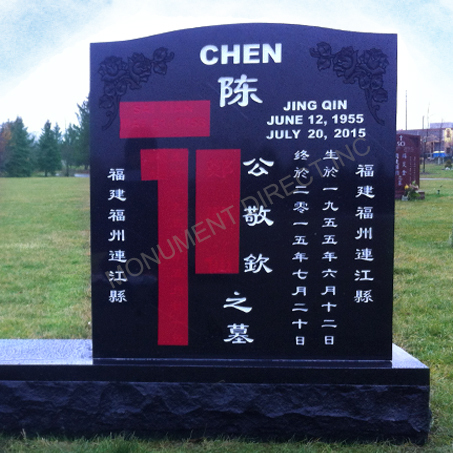 The work from your company and the satisfaction and the appreciation from us after our monument have done. 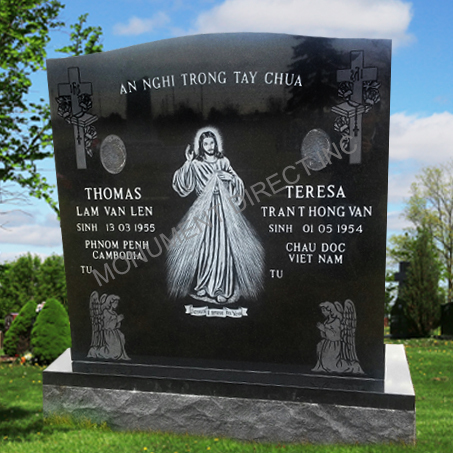 Qua su gioi thieu cua nguoi ban, chung toi da tim den Monument Direct de lam tam bia tren mo cua nguoi than ,chung toi da rat hai long ve su tan tam, vui ve va nhiet tinh cua moi nguoi lam viec tai Monument Direct,ngoai viec chon khac ten , chung toi muon duoc khac tuong Phat A Di Da o giua…ket qua that hoan my,gia ca lai phai chang,xin cam on Monument Direct.